Swansea failed to mark Bob Bradley's first home game with victory as Watford held them to a goalless draw at the Liberty Stadium. The result leaves Swansea in the Premier League's relegation zone, but new manager Bradley will be able to draw positives from a performance which almost saw one point turned into three when Gylfi Sigurdsson struck a post late on. This was Swansea's first clean sheet since the opening day of the season and there was plenty of attacking intent, particularly in the second half when, unlike in the final days of Francesco Guidolin's managerial reign, they kept the foot on the accelerator. But Watford are made of stern stuff under Walter Mazzari and the Hornets' record now stands at one defeat in six games after a resilient defensive display in which Younes Kaboul and goalkeeper Heurelho Gomes were exceptional. Swansea were playing their 100th Premier League game at the Liberty Stadium and they could take encouragement from the fact Watford had not taken three points in this corner of south Wales since 1983. Bradley also saw his new charges start at a good tempo, even if chances were hard to fashion against Hornets' opponents fresh from keeping their first clean sheet in 13 games at Middlesbrough. Gomes felt he had to help Modou Barrow's effort around a post, despite it appearing to be veering away from goal, and the Watford defence was opened up by an incisive passing move before the final ball was placed too far in front of Borja Baston. Sigurdsson had a sight of goal after Kyle Naughton robbed Troy Deeney and played a square ball into his path, but Gomes was equal to the Icelander's 20-yard shot and caught the ball comfortably. Watford looked for the link-up play between Deeney and Odion Ighalo whenever they could and Swansea's new central defensive axis of Mike van der Hoorn and debutant Alfie Mawson had to remain vigilant. But Watford's first-half threat amounted to free-kicks from Etienne Capoue and Kaboul, neither of which tested Lukasz Fabianski in the Swansea goal. 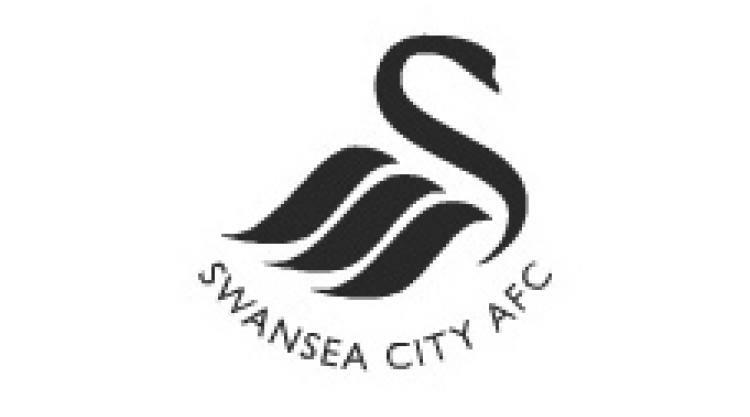 Swansea were keen to utilise Barrow's pace after the restart and the signs were positive as the Gambian combined well with right-back Naughton and began to attack Jose Holebas down the flank. Naughton's cross set up an audacious overhead kick from Borja which sailed harmlessly wide and the decibel levels rose as Sigurdsson found space to deliver a shot blocked by Valon Behrami. But Watford were a threat on the break and Naughton twice got in the way after Ighalo tricked his way into the box. The deadlock was almost broken after 64 minutes when Sigurdsson whipped in a free-kick and Gomes denied Van der Hoorn with his legs from a few yards out, although how much the Brazilian knew about it was open to debate. Sigurdsson himself was unable to convert an excellent opening from Barrow's cross and, although the winner did not come, it did put to an end Swansea's run of four straight defeats.